The Joan Murray Award is our organization’s highest honor as it recognizes the student or students who best exemplify the values espoused by GGP Founder Joan Murray. Mrs. Murray encourages students to pursue both musical excellence and community engagement. She fosters and encourages students to model a generosity of spirit through performance, collaboration and mentoring peers and/or younger students. GGP especially seeks nominations for students who rise above challenges, be it their personal circumstances, performance anxiety or otherwise. GGP Youth Orchestra provides student players many opportunities to distinguish themselves through musical excellence and leadership. From where students are seated in each orchestra to striving for positions as principals in their sections to taking on leadership positions in the community by taking part in our gig and theory programs, students can gain advancement and recognition. 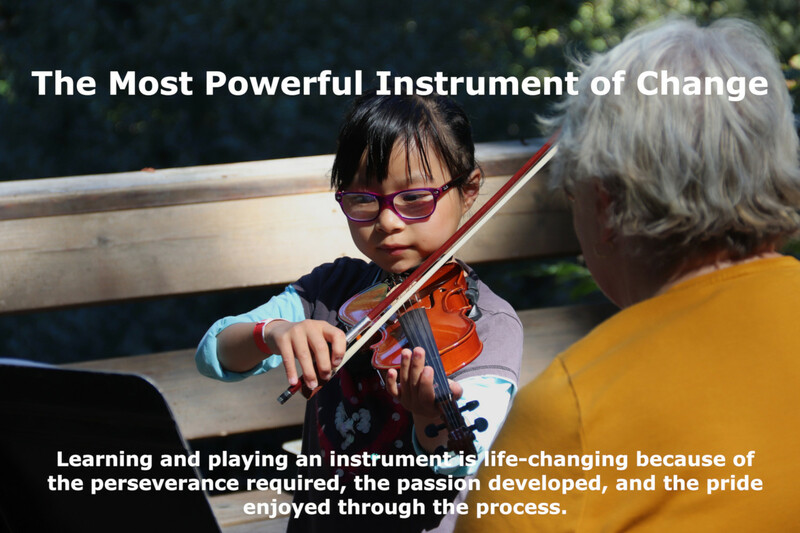 Students who go above and beyond striving for musical excellence to inspire those around them to bring their best, are great candidates for nomination. These students immerse themselves in all GGP has to offer and they take advantage of every opportunity to grow as performers through orchestral concerts, chamber recitals, gigs and music theory. They come not only prepared and on time with pencils in hand, but also, they step up to do the larger acts of citizenship, serving as a role model and mentors. The Joan Murray Award is open to all students participating in GGP. Our Nominating Committee will both solicit and accept nominees through March of each year from members of the GGP community, including students, faculty, conductors, and administrators. To submit a nomination, please Submit your nomination by emailing Geoffrey and/or Darcy at office@ggph.org including name and brief rationale for how a student demonstrated the qualities worthy of this recognition. Joan Murray, Founder, Executive Director Emerita and 2014 Jefferson Award recipient, was a music teacher in the San Francisco public school system for four decades. 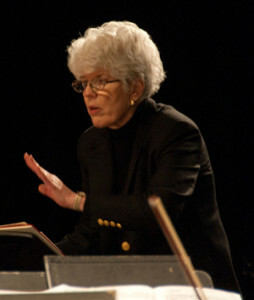 Upon her retirement in 1995 she created this outstanding music education program when she saw the significant and steady cuts in funding for music education in our schools. Her commitment to lifting youth to their full potential through her instrument of change, music, inspires us to honor her legacy through this award.